The ladies Aiglentine "Boyfriend boot" is a stunning boot with a black strap and gusset for an increased level of comfort and a better fit, now with a polyester fur lining for even more comfort and warmth. Had this product before and they lasted me years . 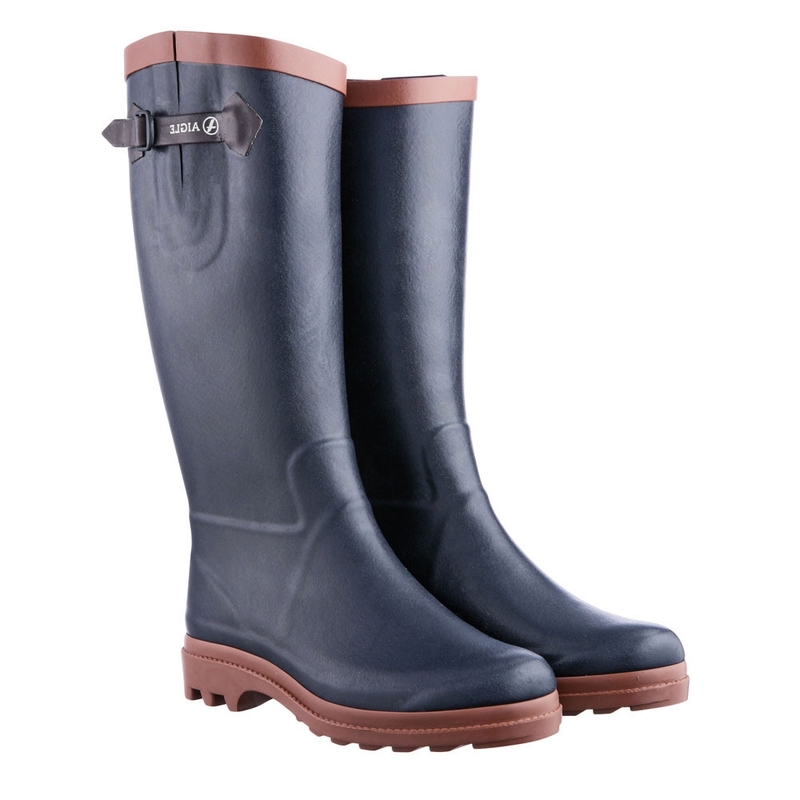 Lovely soft rubber wellies and lovely and warm . Never had cold feet in these !! Excellent wellies very comfortable. Would recommend. 25 characters would be superfluous. Lovely boots will see how they cope with daily wear during the winter but they will hopefully keep my feet warm. We have been looking for boots for my wife for months none regardless of price seem to fit properly. These are perfect comfortable and proper support. Excellent wellies. Non slip soles and keep your feet/legs warm and dry even on long walks with the dog. You can wear these bare foot in winter they are so toasty warm.&nbsp;best wellies ever.&nbsp;I have had mine for 3 years wear everyday and can you can walk for hours in them so comfy.&nbsp;I am just about to order new ones as signs of wear on the insole inside, outside good as new.&nbsp;I can then have good ones for longer walks, and keep the old ones for the beach/sand.